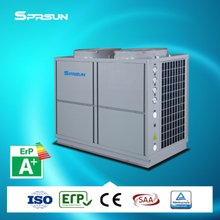 With the continuous development of the air source heat pump technology, more and more industries begin to introduce it for hot water heating. 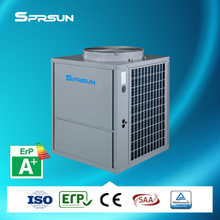 Swimming pool air source heat pump water heaters are a typical application of the technology. With the gradual popularity of the concept of green low-carbon and comfortable life, people do not only hope to enjoy the pleasure of swimming in the hot summer, but also expect to experience the refreshing swimming environment in the cold winter. Compared with normal temperature swimming pools, constant temperature swimming pools keep the temperature between 27℃ and 28℃ for a long time, which conforms to the comfort level of human body. Thus, the swimming experience is better and more comfortable. Generally speaking, the common swimming pool heaters are oil-fired boilers, electric boilers, solar powered pool heaters and air source pool heat pumps, among which air source heat pumps are greatly favored by constant-temperature swimming pools. 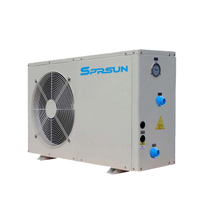 For swimming pool managers, air source pool heater pumps do not only meet people's temperature requirements, but also greatly reduce investment and management costs, thereby increasing their return on investment. 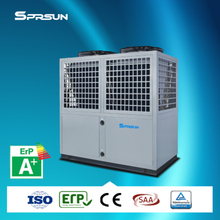 As the most energy-saving pool heaters, pool air source heat pumps are no doubt the best choice for customers in terms of technology and economy.